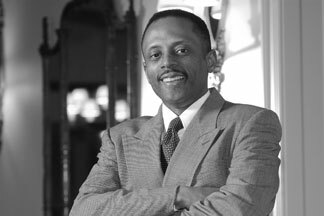 Earl Lewis to become EVP & provost, July 1: Earl Lewis, dean of the Horace H. Rackham School of Graduate Studies at the University of Michigan, will become Emory’s first African American provost on July 1. 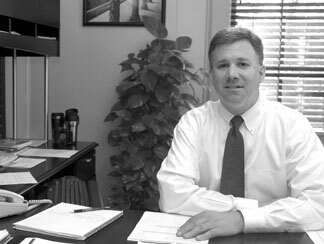 Lewis was nominated by President Jim Wagner on March 2, then confirmed by the Board of Trustees the next day. Partly because of 20-year-old perceptions—he almost joined Emory’s faculty after earning his doctorate in 1984—Lewis said at first he was hesitant about pursuing the position, but the search committee and Wagner won him over. “There was this sense that, if I took a good look at Emory, it may be a place I could comfortably call home,” Lewis said. Photo by Martin Vloet at University of Michigan Photo Services. Emory Profile: Mike Mandl: Mike Mandl, executive vice president for finance and administration, joined Emory’s senior leadership team last July and since his arrival has worked to embed himself in the campus. “I learned how deeply people are committed to their work at many different kinds of jobs,” he says, reflecting on meeting Emory employees at an ongoing series of meet-and-greets he is attending with President Jim Wagner. “There is a lot of loyalty and commitment to this place, and there is optimism for the future.” Photo by Kay Hinton.